This is the famous "Firecracker show" where someone threw one on stage which hit Bruce, provoking a rant from Steven Van Zandt. During the next tour Bruce would regularly ask people not to let off firecrackers. The song was played as an instrumental by Clarence Clemons on saxophone. A tremendous show and one of the longest known with an astonishing 38 songs. The New Year's Eve celebrations include "In The Midnight Hour" and the last known "Auld Lang Syne". The song was played as an instrumental by Clarence Clemons on saxophone. Standout performances include "Who'll Stop The Rain", Roy Bittan plays pieces of "Once Upon A Time In The West" as a prelude to "The River" and as a bridge between that song and "Badlands". "Cadillac Ranch" includes some lyrics from "No Money Down". 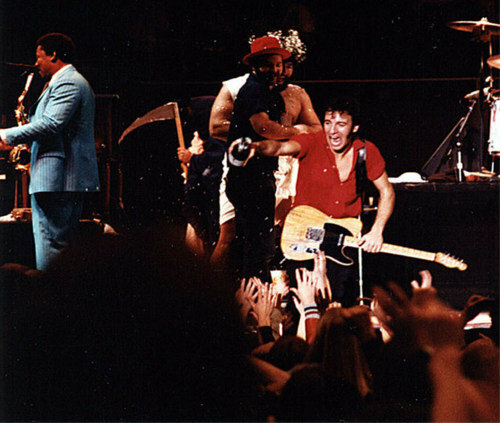 The encores also include the second "Twist And Shout" and the penultimate "Raise Your Hand" of the River Tour. 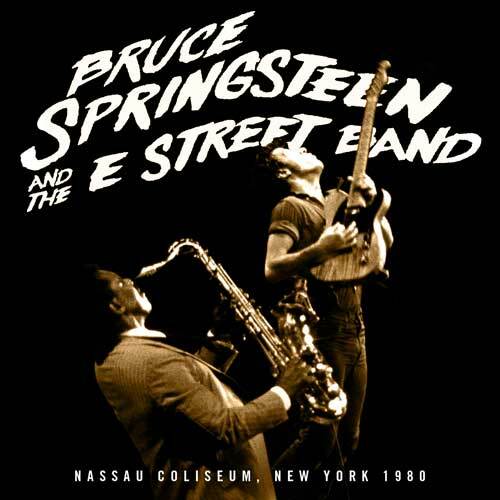 Official concert recording available for purchase from Springsteen's official live download site at live.brucespringsteen.net. 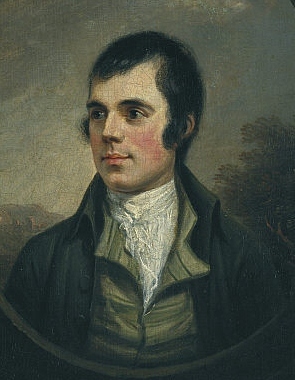 "Auld Lang Syne" is a Scots-language poem written by Robert Burns in 1788 and set to the tune of a traditional folk song . It is well known in many countries, especially in the English-speaking world, its traditional use being to bid farewell to the old year at the stroke of midnight on New Year's Eve. By extension, it is also sung at funerals, graduations, and as a farewell or ending to other occasions. The international Scouting movement in many countries uses it to close jamborees and other functions. The poems's Scots title may be translated into standard English as "old long since" or, more idiomatically, "long long ago", "days gone by", or "old times". Consequently, "For auld lang syne", as it appears in the first line of the chorus, might be loosely translated as "for the sake of old times". The tune to which "Auld Lang Syne" is commonly sung is a pentatonic Scots folk melody, probably originally a sprightly dance in a much quicker tempo. English composer William Shield seems to quote the "Auld Lang Syne" melody briefly at the end of the overture to his opera Rosina', which may be its first recorded use. 1939: Guy Lombardo and His Royal Canadians performed it in on New Year's Eve for decades until his death in 1977. Several sources credit Lombardo with "popularising" the use of the song, at least in the United States. Lombardo's version is played in Times Square every New Year's immediately following the dropping of the ball. As a standard in music, "Auld Lang Syne" has been recorded many times, in every conceivable style, by many artists, both well-known and obscure.